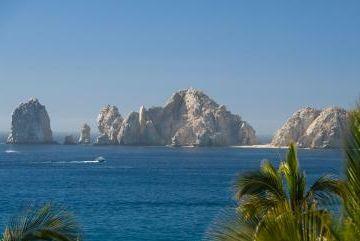 There are many amazing Cabo San Lucas all inclusive vacation packages. All inclusive vacations in Cabo San Lucas are an enticing way to save some money and enjoy all the exciting benefits which come from staying in a fantastic beach resort in paradise. Mexico beach vacation packages are a wonderful way to include the whole family in a memorable Cabo trip. The advantages of going all inclusive in Cabo San Lucas are numerous and undeniable. Cabo San Lucas is an expensive vacation destination, so purchasing an all inclusive package enables visitors to get the best deals instead of paying for individual activities and attractions outside of the hotel. By saving money on dining and drinks, tourists are able to have more money for activities that are not included in theirpackages. All resorts offer some of the best restaurants in Cabo San Lucas, so dining at the hotel is a wonderful way to save a considerable amount of money. This is especially true considering that most of the restaurants in the tourist areas are quite expensive. The Riu Palace is situated directly on Medano Beach in the heart of Cabo San Lucas. The spectacular resort opened its doors in 2004, and provides fantastic all inclusive packages. The five story hotel is decorated with lush gardens and extensive amenities. A beautiful modern ambiance and fabulous views surround the Riu Palace. The Riu Adventure Package also includes tours. Experience a zip line tour over a stunning canyon with he Canyon Canopy tour, or participate in exciting ATV tours over amazing ocean cliffs and rugged desert canyon terrain for. Villa La Estancia is one of the most luxurious and impressive hotels in Cabo San Lucas. The ocean views are extraordinary and the attentive service is exceptional. The dramatic land's end view makes for priceless sunsets. Garden and ocean view rooms are all exquisite. Enjoying an all inclusive vacation in Villa La Estancia is a truly fabulous way to experience the very best of Cabo San Lucas. The Villa La Estancia has meal packages available as well. Pricing of adult meal packages is $84 per adult per day, and children's meal packages cost $42 per child (ages 6 to 12) per day. Children under 6 eat free. Villa del Palmar offers breathtaking views and an idyllic location about five minutes from downtown Cabo San Lucas. The world class spa offers exceptional treatments and the restaurants are all among the finest in Los Cabos. Villa del Palmar has a historic charm all of its own, with exceptional aesthetic beauty and attentive five star service. Villa del Palmar offers the great location, the amazing amenities, and all the luxuries you expect from a memorable Cabo vacation. Tesoro Hotel is situated in the very epicenter of Cabo San Lucas on the marina. This prime location enables guests to walk to the heart of Cabo San Lucas within minutes. Guests can enjoy an exciting water taxi ride over to Medano Beach. Nightlife and all the downtown excitement is easily accessible from Tesoro. If you plan on being able to walk everywhere during your Cabo vacation, Tesoro is the resort for you. No other hotel in Cabo can match the fantastic location. Enjoying an all inclusive Cabo San Lucas vacation is a wise investment because you get more for your money. However, if you plan on exploring and hope to spend a lot of time outside of the resort it might not be necessary to go all inclusive. It all depends on exactly how far from the resort you plan on traveling.